New Roman', serif;">Teragren flooring, panels and veneer complement classic to contemporary design styles. Our prefinished bamboo flooring includes Synergy™ high-traffic solid strip and floating strand bamboo flooring in Wheat, Chestnut, Java and Brindle;Signature Naturals, Craftsman II wide plank and Studio floating floor, in flat and vertical grains, natural and caramelized colors; and Signature Colors, stained Espresso, Cherry, Walnut or Charcoal. Matching accessories, stair parts, trim and floor vents for the finishing touch. 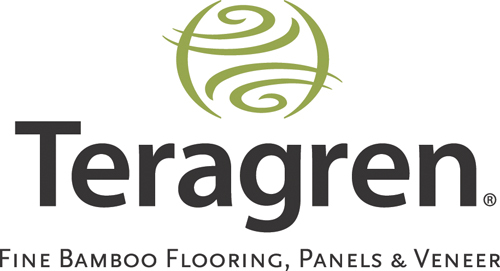 Teragren furniture-grade bamboo panels and countertops come in natural and caramelized colors.